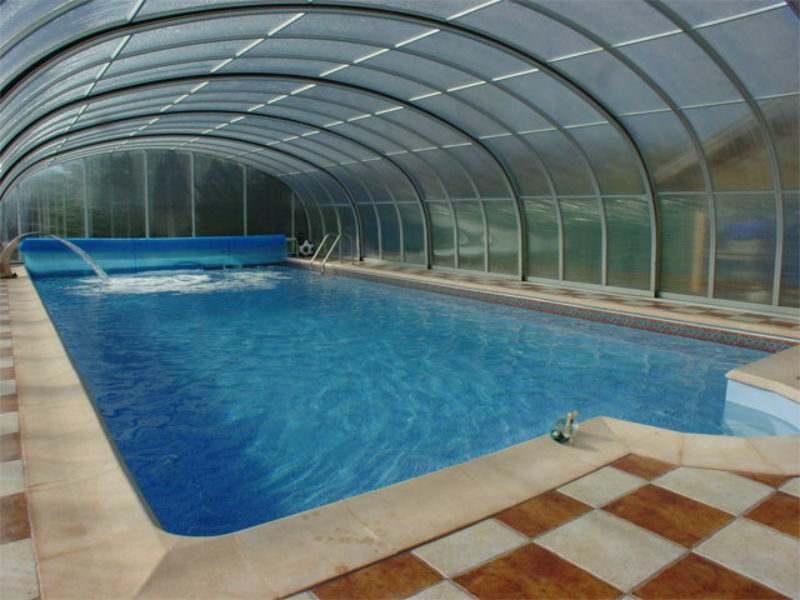 We needed a lightweight, unobtrusive, and flexible material to be able to design the optimal pool cover. 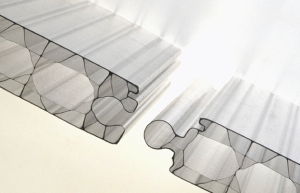 Following the product testing and development phase, GE Plastics’ Lexan Thermoclear sheet was chosen as it exhibited outstanding formability and bonding compatibility that met all of our requirements”, say Thérèse and Serge Chapus, creators of Abrisud. 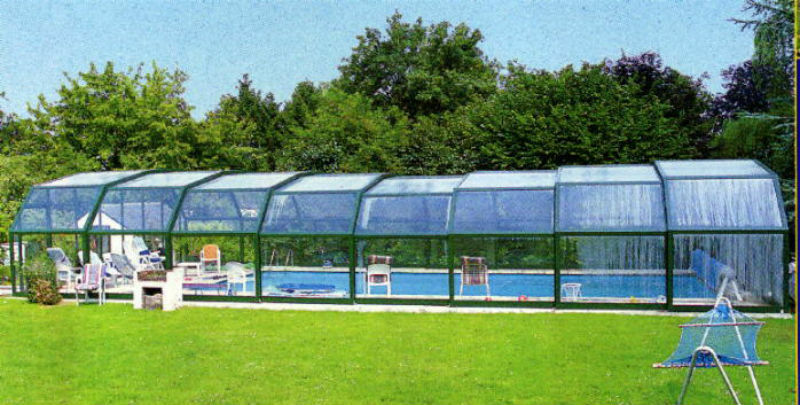 Lexan Thermoclear Plus and Easy Clean polycarbonate multiwall sheets with unique UV protection on both sides, may offer high light transmission, excellent insulation properties and impact resistance. 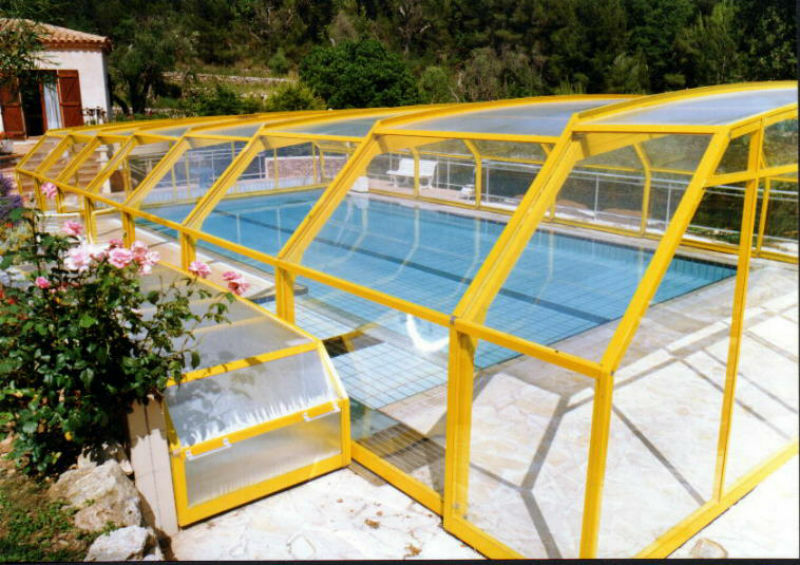 The complete Lexan Thermoclear sheet range features a proprietary both sides surface treatment designed to protect the sheet against the degrading effects of ultra-violet radiation in natural sunlight. 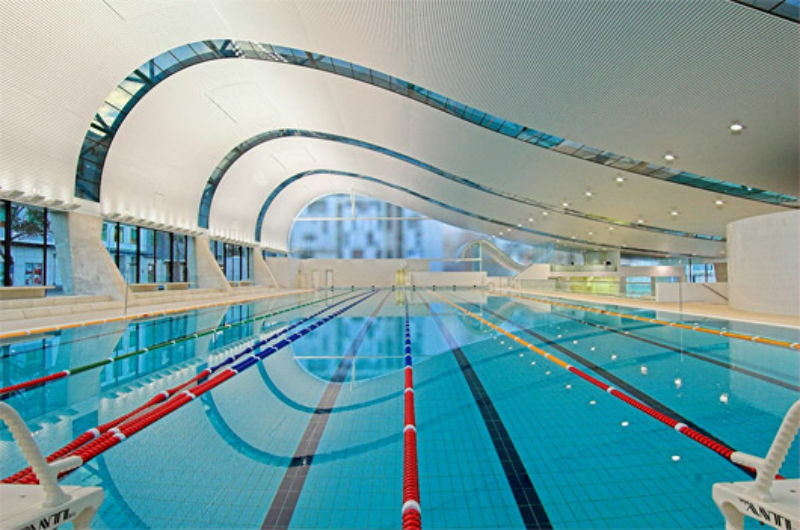 The sheet can be economically cut to in desired shape on-site with minimal waste. 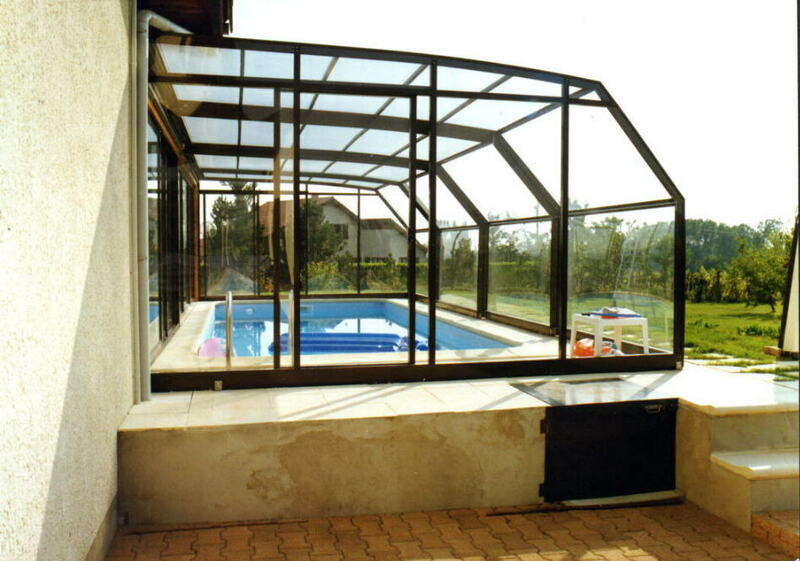 Furthermore, installation mistakes are minimized since both sheet surfaces are UV-protected and may be faced outwards. 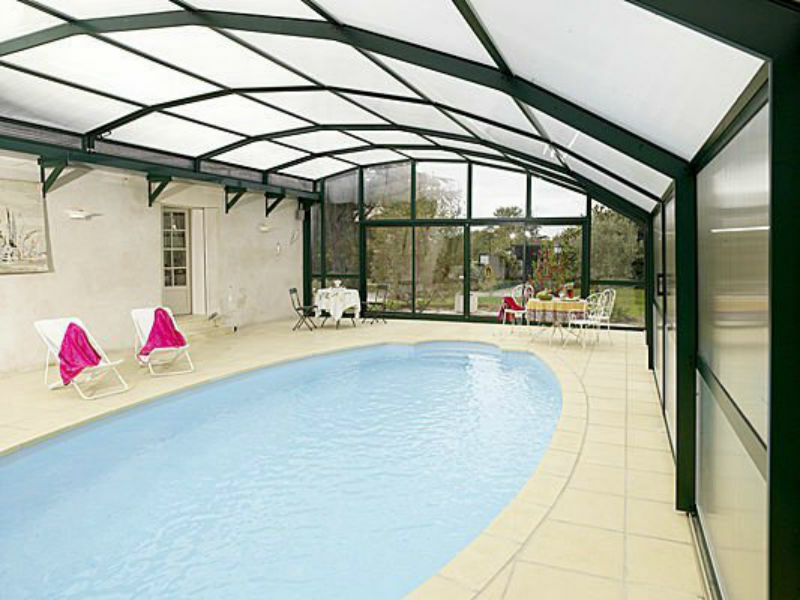 As a roof glazing material Lexan Thermoclear sheet is subjected to the extremes of weather; storms, hail stones, wind, snowfalls, and ice formation. 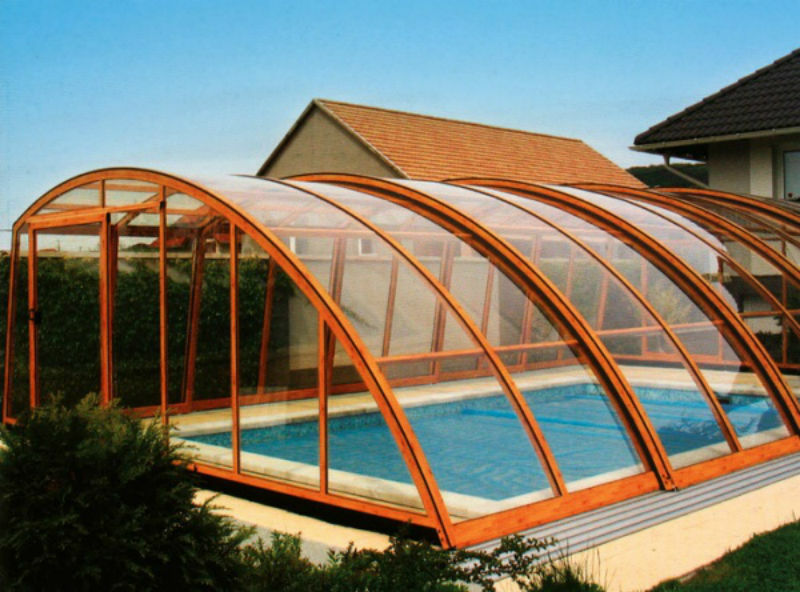 Under these conditions, the product is virtually unbreakable and is able to accommodate the subsequent temperature change to sunny conditions without breaking or buckling. 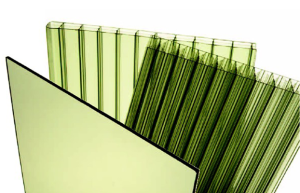 Lexan Solar Control IR sheets are transparent with a Green or Blue Tint, which blocks near-Infrared light but lets in high levels of visible light.